 Beacon College’s Board of Trustees is responsible for setting the institution’s strategic direction in broad strokes, for directing critical investments in personnel and infrastructure and for providing support and oversight to the President and other members of the leadership team. As a private institution, Beacon’s Board is self-perpetuating. 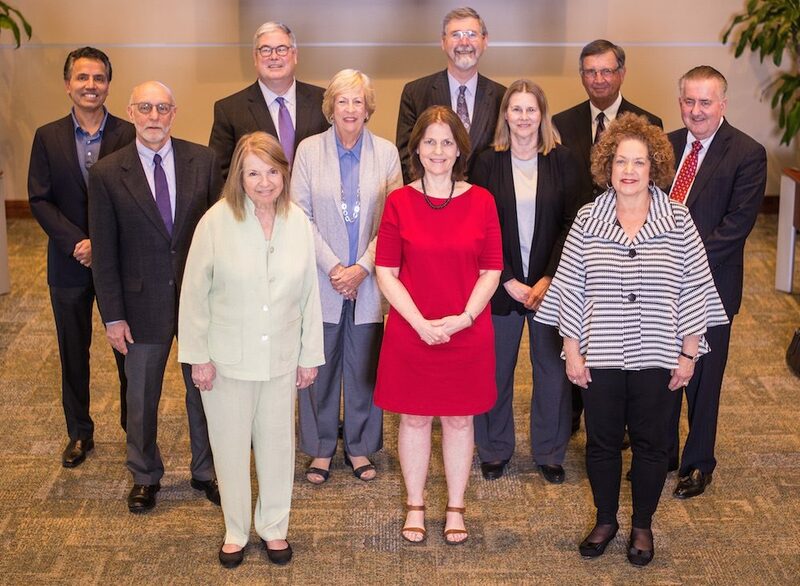 New members are elected at the September Board meeting and may serve a maximum of three consecutive four-year terms, with the possibility of standing for reelection after a one year hiatus. Additionally, members working on critical projects have their terms extended by a single year. Because of the College’s legacy as a parent-founded institution, several members of the Board are chosen from among accomplished alumni parents. Other members typically include leaders in education, various professions and diverse fields of business from throughout the United States. The Board normally meets four times per year on or near the Beacon campus. Dr. Averbeck has over 30 years of experience as a licensed psychologist specializing in industrial and organizational psychology. He is president and owner of Applied Assessments, Inc., a firm which implements principles of applied psychology and organizational behavior to advance both corporate change and individual development. Applying objective metrics, Dr. Averbeck guides individuals in career choices and organizations in personnel selection and strategic planning. Dr. Averbeck has served on numerous nonprofit and educational boards. He is currently board chair at Elder High School, a large, private boys’ school in Cincinnati, Ohio. Ms. Flanagan has more than 30 years of experience in higher education policy and planning. Since 1994, she has headed the government relations staff at the National Association of Independent Colleges and Universities, where she focuses on the issues of government regulation, student financial assistance and tax policy She was previously the professional staff member for higher education on the U.S. Senate Subcommittee on Education, Arts and Humanities, working for Rhode Island’s Claiborne Pell and was also staff director for the Senate Subcommittee on Children, Families, Drugs and Alcoholism under Connecticut’s Christopher Dodd. In addition to serving on Beacon’s Board, Ms. Flanagan is on the Board of Trustees at Mary Baldwin College and is Trustee Emerita at Providence College. Mr. Thompson has more than 40 years of experience in business, focused primarily in the food and beverage industry. In 2015 he retired as president of Cutrale Citrus Juices USA, after nineteen years of leadership. Cutrale Citrus Juices is the largest orange juice processor in the U.S., headquartered in Auburndale, Florida. Previously, he spent 27 years in various positions at the Coca-Cola Company, culminating as Senior Vice President for Finance at Coca-Cola Foods. Mr. Thompson is an active board member at the Florida Citrus Research and Development Foundation, serving on the Executive and Commercial Product Delivery Committees, as well as Chair of the Finance Committee. He is also past President of the Florida Citrus Processors’ Association. Mr. Cherry is a highly experienced executive in the field of behavioral health. He is currently President and CEO of LifeStream, a social services organization providing treatment, rehabilitation, education and care management to tens of thousands of Central Florida residents through 52 programs and 21 facilities. Mr. Cherry previously served in a wide range of executive positions at several large community mental health centers throughout the State of Florida. For the entirety of his career, he has been successful in building, strengthening and financing innovative programs while maintaining sensible fiscal management and controls. Mr. Cobb has over 25 years of experience in financial management for higher education and not-for-profits. He is currently Vice President, Treasurer and Chair of the Management Committee at the Charles F. Kettering Foundation, a Dayton, Ohio-based organization that develops and publishes research on the roles, responsibilities and participation patterns of citizens in democracies. Mr. Cobb also chairs the Foundation’s committee on international research. Previous positions include Vice President for Finance and Planning at Franklin Pierce University and Vice President for Finance and Administrative Services at Olivet College. Mr. Cobb has served on the boards of several not-for-profits and professional organizations, and is a regular author and presenter on a variety of topics related to his work. John R. Gill is the President and Chief Executive Officer for Quest, Inc. John is responsible for the leadership, management, guidance, and the development and implementation of the strategic vision of Quest, Inc. Quest’s 700 employees at 27 locations make a difference in the lives of more than 1,000 people with developmental disabilities each day. Quest has been part of the Central Florida community for over 50 years. John is a graduate of the University of Central Florida with a BSBA in Finance and of the Crummer Graduate School at Rollins College with a Master’s degree in Business Administration. John’s professional perspective and business skills were shaped through experiences gained from a diverse group of organizations including Tews Company, Robert Half, Resources Global, The Walt Disney Company and Darden Restaurants. John Gill is involved in various community and civic organizations including serving as a current member of the Board of Directors of Beacon College and the Board of Directors of CareerSource Central Florida. John is the past Chairman of the City of Winter Park’s Vision Steering Committee, past Chairman of the Board of CBC Holdings which operates the metro Orlando area child welfare organization, and past Chairman of the University of Central Florida National Alumni Association. John is a recipient of the designation Notable Knight by the UCF College of Business and was recognized as one of the Most Influential People in the City of Winter Park by Winter Park Magazine. Sheldon H. Horowitz is the Senior Advisor for Strategic Innovation, Research & Insights at the National Center for Learning Disabilities (NCLD). He provides leadership and oversight of key programs, and serves as an in-house expert on learning and attention issues to the NCLD and Understood teams. Prior to his arrival at NCLD in 1996, Dr. Horowitz served as associate director of the Learning Diagnostic Center at Schneider Children’s Hospital, Long Island Jewish Medical Center in New Hyde Park, New York. Before that he was assistant unit chief, educational supervisor, and grand rounds chairperson of the Center for Mental Health, Department of Psychiatry at Interfaith Medical Center in Brooklyn, New York. Sheldon has taught at primary, secondary and college levels, and worked as a consultant to school districts throughout the New York metropolitan region. His special interests include neurobiology of learning, educational assessment, fetal alcohol effects in children, language-based learning disabilities, disorders of hyperactivity and attention, and learning disabilities in adolescents. Sheldon completed his master’s degree at Peabody College, Vanderbilt University, in Nashville, Tennessee, and holds a doctorate in learning disabilities from Teachers College, Columbia University, in New York, with a specialization in learning disabilities and neurosciences in education. He is a regular presenter at professional conferences in the field of special education, and is frequently cited in the popular press. During his more than twenty years at NCLD, Sheldon has provided leadership on many of NCLD’s projects and programs as well as oversight of NCLD’s Professional Advisory Board. He enjoys being the ‘go to’ person for questions about learning and attention issues across program areas, and is co-author of NCLD’s signature publication, The State of Learning Disabilities Report. For over 25 years, Ms. Judge has served in executive positions on a variety of nonprofit and educational boards. Most recently, she was President of the Board of Directors of the Winnetka Historical Society in Winnetka, Illinois, where she oversaw acquisition and restoration of two historic houses. Ms. Judge’s professional background is in finance; she served as Vice President – Investment Banking at Morgan Stanley & Co. Ms. Judge is the proud parent of a Beacon alumnus. For over 15 years, Mr. Latham has been a technology executive, developing and executing strategic technology visions for cutting edge organizations in the retail, entertainment, healthcare and financial services industries. He is a recognized expert in leveraging cloud-based technologies, helping organizations streamline and unify their technology platforms and designing and building robust e-commerce solutions. Mr. Latham is founder and President of Banyan Hills Technologies, a rapid-development technology solutions company. He previously led cloud solutions software development at NCR. Mrs. Marinakis is an Advanced Practice Nurse. She has an accomplished history as both a nursing educator and practitioner in community health. She is licensed as a Clinical Nurse Specialist in Mental Health and Psychiatry and holds certifications in both nursing and substance abuse from the New Jersey State Department of Education. Her most recent professional endeavors have been focused in voluntary agencies, such as the Volunteers in Medicine of Cape May County, New Jersey, where she has served as Clinical Nursing Coordinator. Her multiple recognitions include both the Partner in Prevention Award and Volunteer of the Year Awards from the New Jersey Governor’s Council on Alcohol and Substance Abuse, as well as the New Jersey Governor’s Teacher Recognition Award. Ms. Resnick is a speech/language pathologist with 35 years of experience in working with school-age children. From 1983 to 2010, she was supervisor of the speech/hearing language program for the non-public schools in Pittsburgh, PA. During her last years in that position her responsibilities were expanded to include coordinating services for special needs, psychology and reading. Ms. Resnick holds certifications in both clinical and instructional speech/language pathology and special education supervision from the State of Pennsylvania. She is very active in several nonprofit and community organizations. Her board current positions include serving as executive vice president of the board of trustees at Community Day School and member of the board for FAME. She is also involved in the Jewish Women’s Foundation, where she serves on the advisory committee and is co-chair of the Jewish Federation of Pittsburgh’s committee on inclusion. Dr. Rosen has been an educator for more than three decades and is currently chair of Hunter College’s Panel on Writing. She is also founder of Education Update, an award-winning free monthly online newspaper dealing with issues in education from preschool to graduate school which gets over two million page views annually. In addition to its reguar publication, Education Outreach sponsors a range of innovative programs, including recognition for New York City’s outstanding principals and teachers, an annual Distinguished Leaders in Education honor, an NYC-wide conference on special education, student internships and a project to engage developmentally disabled sixth graders in producing a special edition of the paper. Both Dr. Rosen and Education Update have received numerous awards for their work. Dr. Rosen’s nonprofit activity includes serving on the Advisory Councils of Teachers College/Columbia University and the New York Botanical Gardens and on the Board of the Kennedy Child Study Center. She was previously a member of Landmark College’s Board of Trustees for 10 years. Dr. Yadav is the founder and CEO of MiRus, LLC, an orthopaedic and spine company. He was the founder of CardioMEMS (acquired by St. Jude Medical), Angioguard (acquired by JNJ) and initial investor and director of SMART Therapeutics (acquired by Boston Scientific). Dr. Yadav is a director of several private life sciences and technology companies. He is a Director of Georgia Bio, the Global Center for Medical Innovation (GCMI), the Bio/Med Investor Network, the Southeast Medical Device Association (SEMDA) and Beacon College. He is on the Entrepreneurship Advisory Board of the Yale School of Management. His research career has spanned over 20 years with a focus on the treatment of complex cardiovascular and cerebrovascular disease that was not treatable by current therapies. Dr. Yadav has authored over 200 scientific articles and two books and his work was recognized by the American Heart Association as one of the Top Ten Scientific Advances of 2003. In 2004, he received the Ellis Island Medal of Honor for his contributions to medicine. In 2011, he was named one of the 50 best doctors in the history of the Cleveland Clinic. Also in 2011, the procedure he developed for the treatment of carotid artery disease became a Class I recommendation of the National Guidelines of the American Heart Association and the American College of Cardiology. Dr. Yadav has also received recognition for his entrepreneurial contributions including the Southeast Medical Device Association Entrepreneur of the Year Award for 2010, Phoenix Award for Medical Devices 2011, Association of Telecom Professionals Award 2011, Ernst and Young Entrepreneur of the Year for Healthcare (Southern Region) for 2011, Association for Corporate Growth Deal of the Year 2014 and Georgia Bio Deal of the Year 2014. Dr. Yadav was born in India and grew up in North Carolina and West Virginia. Dr. Yadav graduated from Yale College at age 19 with honors in biophysics and biochemistry. He attended the West Virginia University School of Medicine, and did his post graduate training in cardiology and interventional cardiology at Duke and the University of Alabama-Birmingham. He lives in Atlanta with his wife Marshalla and four children. For nearly 40 years, Mr. Battaglia was an energy executive, retiring from Dominion Virginia Power in 2007. He has been active in education and community issues, serving for twelve years on the Nutley, New Jersey Board of Education, including four years as President. He was also elected to the Nutley Township Board of Commissioners, serving four years as Commissioner for Public Affairs. He has been a trustee of the 1st Cerebral Palsy of New Jersey since 1974. Mr. Battaglia was recognized by his local Jaycees for contributions to health and education. Mr. Battaglia is proud to be the father of a Beacon alumnus. Dr. Williams has an unusual mixed background in education, science and finance. With an academic career spanning 20 years, he taught and researched at several European universities and with the World Health Organization in Africa. As a recognized investor and manager for pre-public biotech companies, he was involved in such notable organizations as Amgen, Bioveris and Supergen. He is currently Managing Partner of a fixed income hedge fund and a member of the American Society of Microbiology’s Investment Committee, as well as serving on the boards of several private companies. Dr. Ziccolella has over 30 years experience as an educational administrator. He was a school superintendent of the Greenburg-Graham School District for twenty-three years, a K-12 school district for residential students with learning disabilities and emotional handicaps. After retirement from the Greenburg-Graham School District, he served as Interim Superintendent in Public School Districts throughout Westchester County, NY. From 1994-1998, he served on the New York State Governor’s Commission on Education. Dr. Ziccolella has been recognized several times by various organizations for his contributions in the field of education.